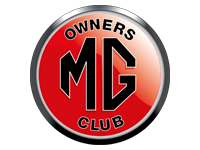 One of the major benefits of being an MG Owners' Club member is that you are entitled to the savings and the service that the MGOC Travel Club provides. Whether you want to take your car abroad on your own, in a group, or on an MGOC organised tour then you can make substantial savings by booking through the MGOC Travel Club. The MGOC Travel Club have access to numerous comfortable hotels throughout Europe, ideal for overnight stops en-route and relaxing short breaks. For those wanting to experience the ultimate motoring break, the Travel Club offers various packages to the Annual 24 hours race at Le Mans. For more information on the various offers and tours available please follow the links above. click here for booking conditions.